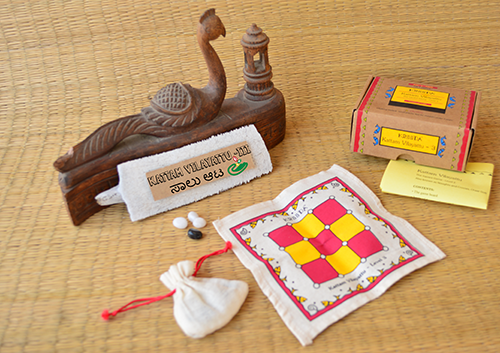 Kattam Vilayattu is also known as 'square game'. Level 3 has the highest level of difficulty. The objective in level 3 is to get four game pieces in a row. This set is available in canvas, with smooth stones as game pieces.